Best value for money! 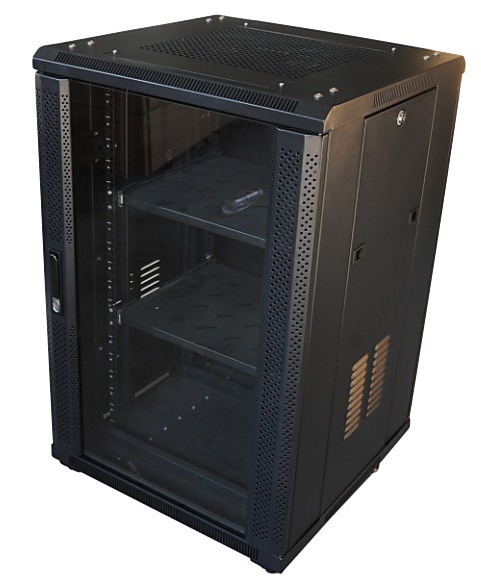 Our 18RU 600MM Server and Data Rack Cabinet provides the most ideal solution for medium to large network servers with multiple data storage requirements. 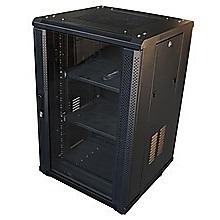 To ensure that your data and equipment are protected from exposure, damage and dust; the cabinet is constructed with high grade, heavy-duty, 2mm steel panels that ensure strength and durability. The toughened, front-tempered, reversible glass door is clear to allow for convenient, regular monitoring. 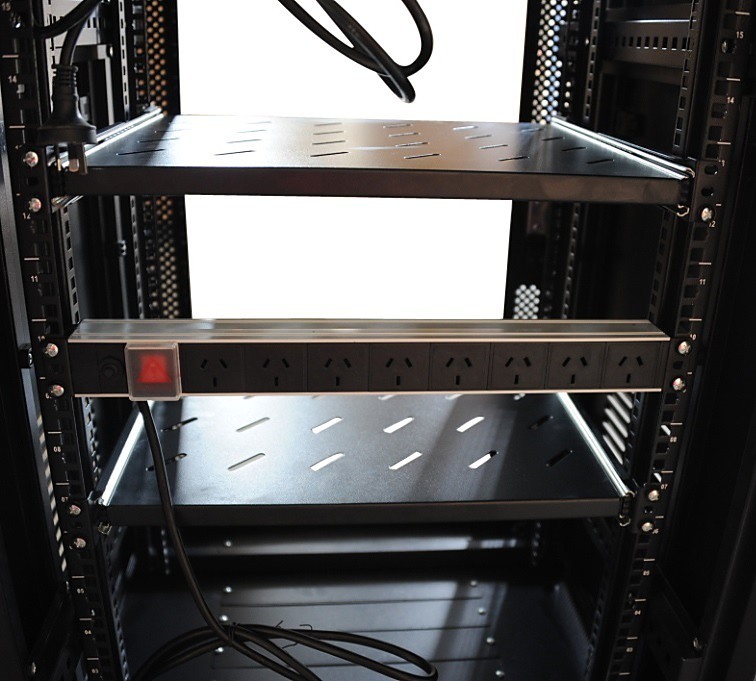 Network equipment installation and maintenance is facilitated by removable side panels. 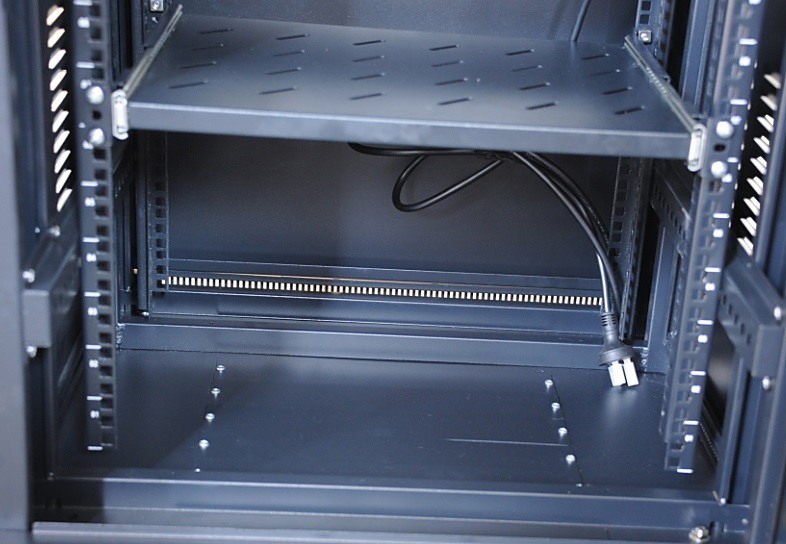 Adjustable standard 19” rails allow rack mounting of equipment from various manufacturers. Two (2) adjustable shelves add to the unit’s versatility. Pre-punched cable entry slots and an internal power distribution unit with 8 outlets help achieve a neat, safe and professional look to your entire set-up. The door and removable side panels are secured with factory installed revolving locks. Pre-punched holes on the front and side panels for adequate ventilation. A fan tray with 2 fans provide cooling. 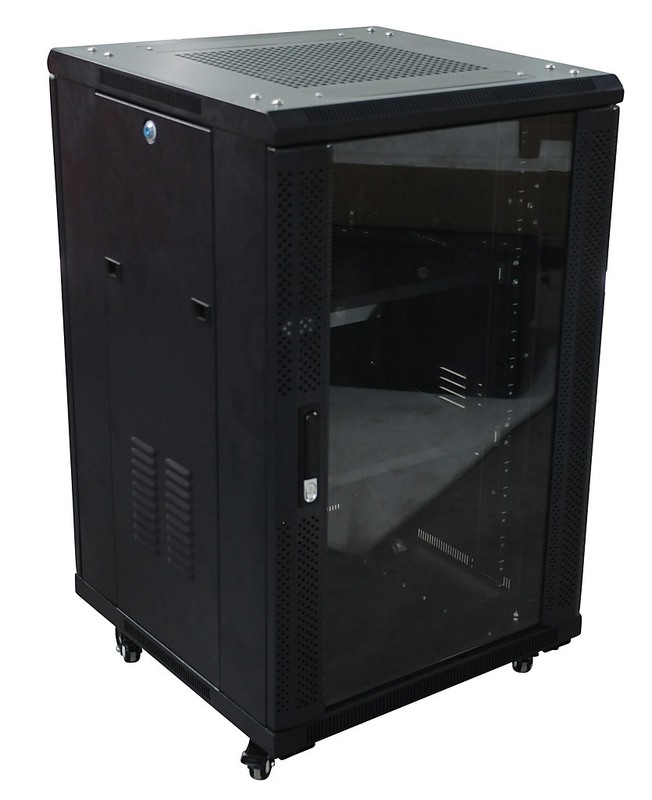 The cabinet is ideal all network and data devices, for storing patch panels and switches as well as communication equipment such as telephone systems and PABX. It can also accommodate DVR, security equipment, routers and UPS.